Summary: Researchers report getting more sleep, and for those who can’t sleep, increasing caffeine uptake, can help relieve chronic pain better than standard pain killers. In sleep-deprived mice, caffeine and other drugs to promote wakefulness ease pain better than analgesics. 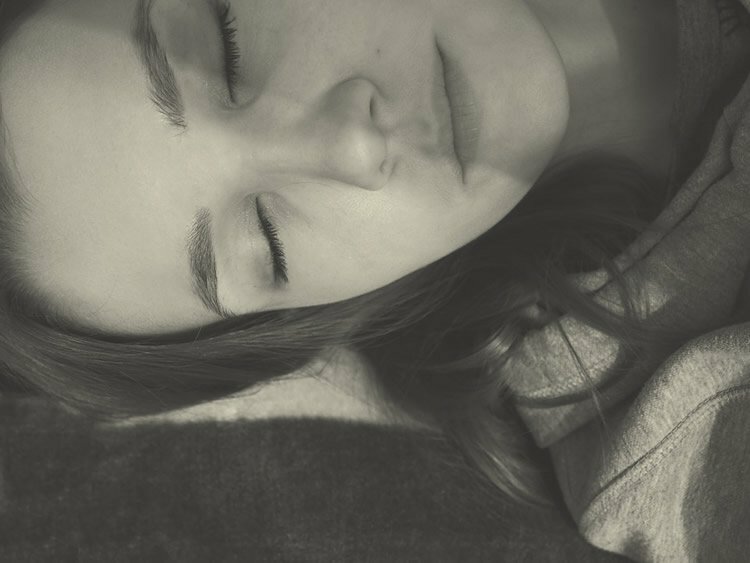 New research from Boston Children’s Hospital and Beth Israel Deaconess Medical Center (BIDMC) shows that chronic sleep loss increases pain sensitivity. It suggests that chronic pain sufferers can get relief by getting more sleep, or, short of that, taking medications to promote wakefulness such as caffeine. Both approaches performed better than standard analgesics in a rigorous study in mice, described in the May 8, 2017 issue of Nature Medicine. Surprisingly, common analgesics like ibuprofen did not block sleep-loss-induced pain hypersensitivity. Even morphine lost most of its efficacy in sleep-deprived mice. These observations suggest that patients using these drugs for pain relief might have to increase their dose to compensate for lost efficacy due to sleep loss, thereby increasing their risk for side effects. NeuroscienceNews.com image is for illustrative purposes only. Alexandre (BIDMC) and Latremoliere (Boston Children’s) were co-first authors on the paper. Woolf (Boston Children’s) and Scammell (BIDMC) were co-senior authors. Ashley Ferreira and Giulia Miracca of Boston Children’s and Mihoko Yamamoto of BIDMC were coauthors. Funding: This work was supported by grants from the NIH (R01DE022912, R01NS038253). The Neurodevelopmental Behavior and Pharmacokinetics Cores at Boston Children’s Hospital, the metabolic Physiology Core at BIDMC (P30DK057521) and P01HL09491 also supported this study. Boston Children’s Hospital “Caffeine and More Sleep Help Improve Chronic Pain .” NeuroscienceNews. NeuroscienceNews, 8 May 2017. Boston Children’s Hospital “Caffeine and More Sleep Help Improve Chronic Pain .” http://neurosciencenews.com/caffeine-sleep-pain-6619/ (accessed May 8, 2017). Extended daytime and nighttime activities are major contributors to the growing sleep deficiency epidemic as is the high prevalence of sleep disorders like insomnia. The consequences of chronic insufficient sleep for health remain uncertain3. Sleep quality and duration predict presence of pain the next day in healthy subjects suggesting that sleep disturbances alone may worsen pain, and experimental sleep deprivation in humans supports this claim. We demonstrate that sleep loss, but not sleep fragmentation, in healthy mice increases sensitivity to noxious stimuli (referred to as ‘pain’) without general sensory hyper-responsiveness. Moderate daily repeated sleep loss leads to a progressive accumulation of sleep debt and also to exaggerated pain responses, both of which are rescued after restoration of normal sleep. Caffeine and modafinil, two wake-promoting agents that have no analgesic activity in rested mice, immediately normalize pain sensitivity in sleep-deprived animals, without affecting sleep debt. The reversibility of mild sleep-loss-induced pain by wake-promoting agents reveals an unsuspected role for alertness in setting pain sensitivity. Clinically, insufficient or poor-quality sleep may worsen pain and this enhanced pain may be reduced not by analgesics, whose effectiveness is reduced, but by increasing alertness or providing better sleep.